Any excuse to feature The Goon Sax is OK with us. In this case, the Brisbane, Australia trio is playing some shows in the UK (see the bottom of this post for dates and locations), and are hoping to generate interest by offering a video from one of the fine songs on their debut album, Up To Anything (our review here). The band are Riley Jones, Louis Forster, and James Harrison, and their brand of The Cannanes meets The Bats meets Galaxie 500, all whirling in a meta, John Hughes' alternative coming of age movie script strikes us as lightning in a bottle. See Gulls do Raleigh, North Carolina proud. With a mix of crunchy power pop, doo wop harmonies, garage grit angular post-punk riffs,and surfy flourishes, the band provides an appealing melodic backdrop for their tales of dealing with cads and winning the day on their new EP Curtain Call. On the six songs See Gulls display plenty of attitude and dress it up with ready for prime time musical chops. A good listen, to be sure. 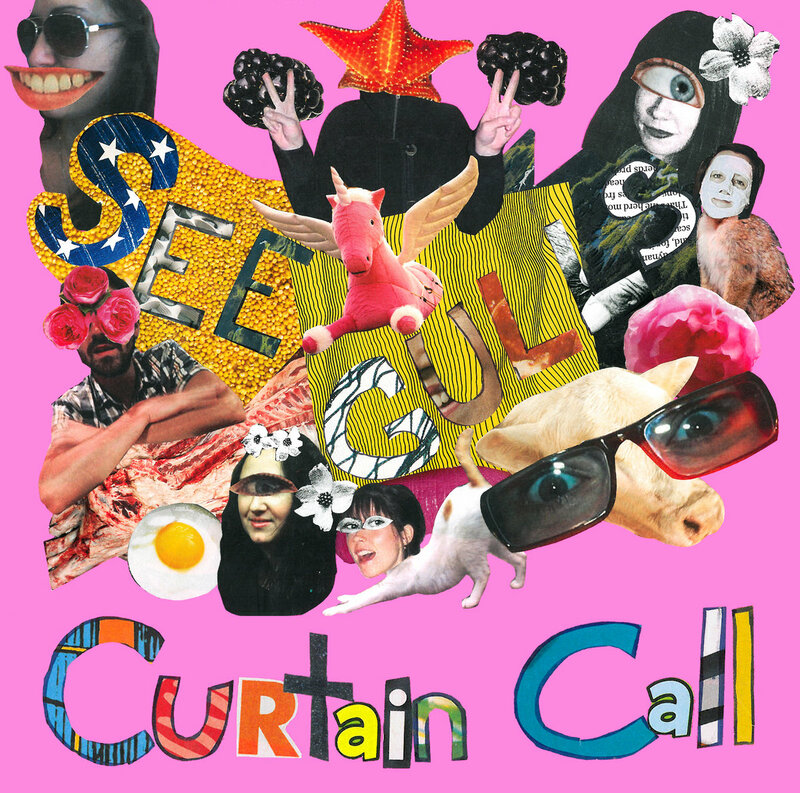 See Gulls are Sarah Fuller, Maria Albani, Jacki Huntington, Leah Gibson, and Duncan Webster. Curtain Call is available now in digital and CD formats. See the Bandcamp link below. What keeps us writing about indie music, cut off from the payola and other benefits from big labels and their corporate partners? A large part of it is discovering bands that do not yet have a big media profile, and may never have a big media profile without some help, but send shivers down our arms and detonate pleasure bombs in our heads. And right now I can think of no better example of such a band than Sheffield's Thee Mightees. Hailing from a city I more often associate with electronic music (which probably is a personal limitation) and with a name that sounds like it comes from the Kingston, Jamaica music scene circa 1969, Thee Mightees may be the best lo-fi, jangle pop band not yet on your radar. Thee Mightee's new album is Glimmer, and over the course of ten tracks the band proves to be equally adept at jangle pop (e.g. "Emoji Dreamworld"), sunny California psychedelia (e.g. "Yoko"), and '60s garage rock (e.g. "Shalalala Man"). They also slip in one of the most perfect guitar pop gems of the year in "Shining Sea" (video below). 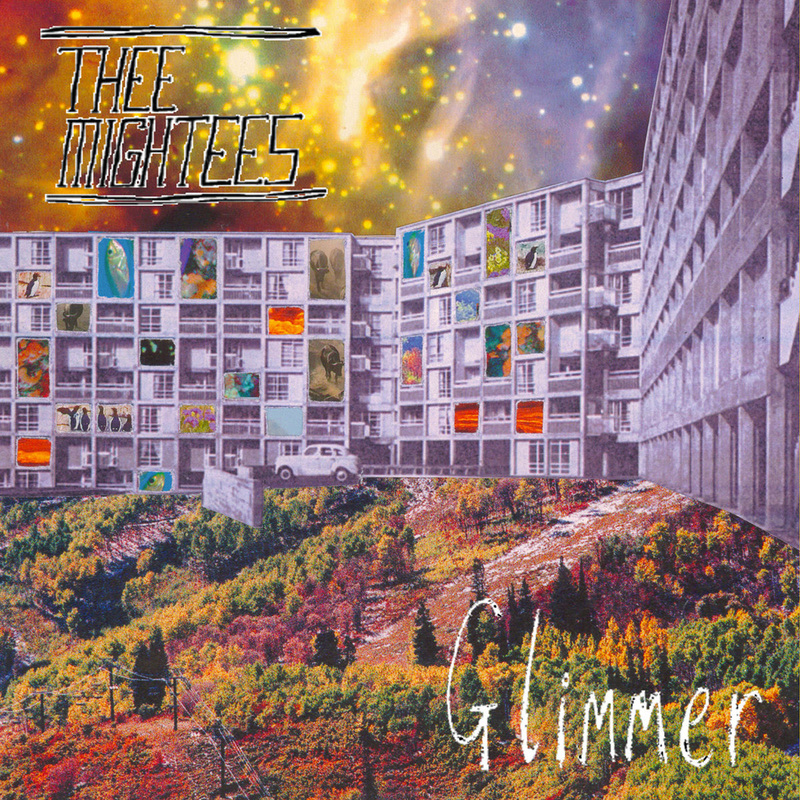 I was familiar with Thee Mightees from a previous release via Fuzzkill Records (Smiling cassette), and loved their pop smarts and excellent songwriting, but I was nevertheless bowled over by the quality and remarkable consistency of Glimmer. Around WYMA World Headquarters, this is being tipped as a top 30 album for the year. Thee Mightees are Thomas Shore, Ben Russell, Tom Roper, and Chris Wood. 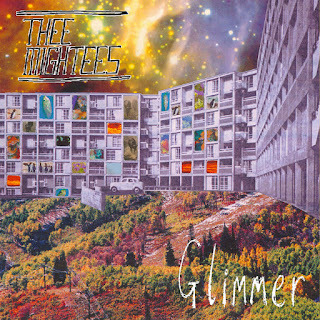 Glimmer is a joint release by Leed's Chud Records and Glasgow's Fuzzkill Records, and is available digitally and on cassette. Three songs mentioned above are embedded below, and you can stream the entire album at the Bandcamp and Soundcloud links below. Are you a fan of the sort of crunchy, jangling power pop and noise pop that many of us, and certainly the WYMA crew, love about the early Teenage Fanclub albums or, perhaps, The Feelies and R.E.M.? If so, we welcome you to The Persian Leaps' fanclub. If you aren't already a member, you may be new here because we covered two previous EPs from the Minnesota trio. 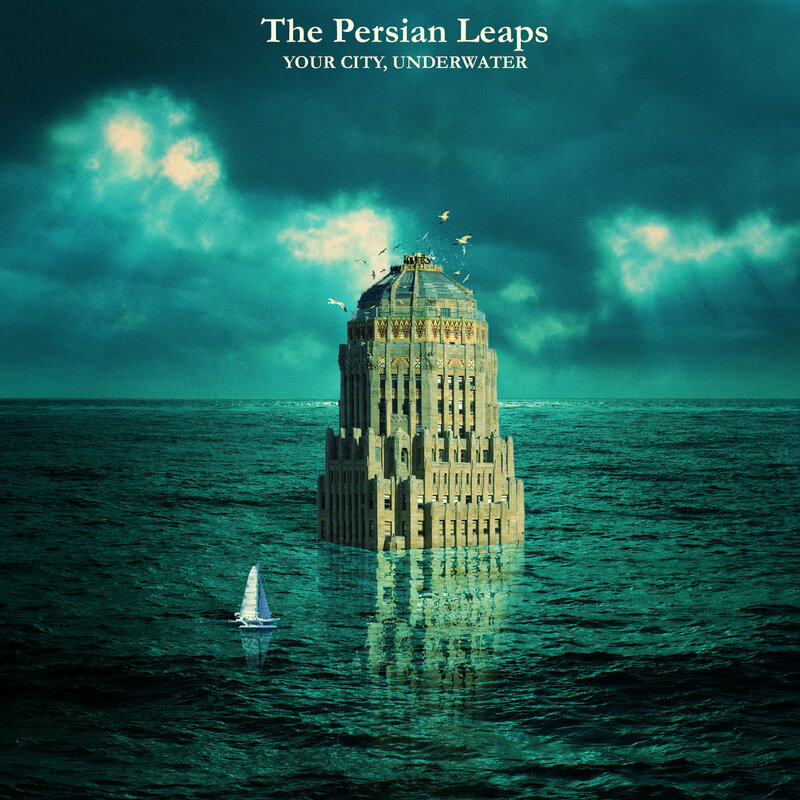 This Friday sees the release of their new five-song EP Your City, Underwater. Hooks, riffs clever lyrics and themes such as anxiety and climate change catastrophe are in abundance, and your only complaint can be that it is over too quickly. But the band manages an EP per year, so you can load up on their back catalog after grabbing this one. The Persian Leaps are Drew Forsberg (vocals/guitar), Adam Brunner (bass/vocals), and Mike McCloskey (drums/vocals). Your City, Underwater is available in digital and CD formats via Land Ski Records. See the Bandcamp link below. As one can discern from the nickname I chose when I started writing about music, I am a fan of the Jamaican form of music known as rocksteady. Rocksteady was the musical bridge between the ska movement of the '50s and first half of the '60s and the classic reggae of the very late '60s and '70s. Characterized by a slower tempo than ska (and usually dropping the horns), with a greater emphasis on backbeat and bass, and a focus on vocals. And what vocals they were -- rivaling the best soul music being recorded in North America at the same time. The rocksteady period was brief -- 1966-1968, but incredibly productive. 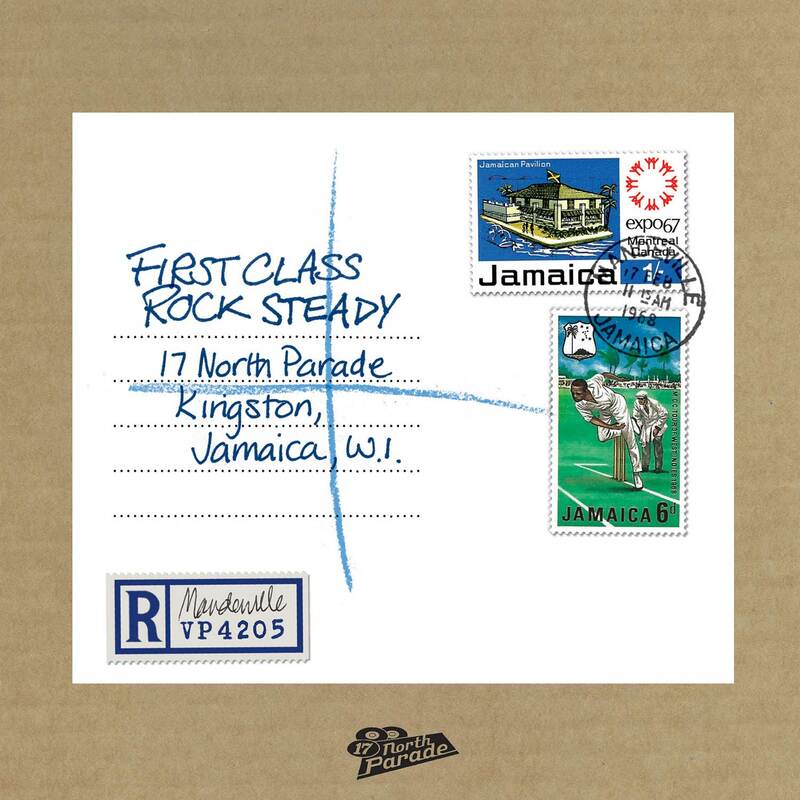 One estimate suggests that 5700 rocksteady singles were pressed in Jamaica and the UK during the period, which is over 6 singles released per day. Moreover, many of the songs had a life beyond rocksteady, as many served as the base track for the DJ period of Jamaican music spearheaded by worthies such as U Roy, Big Youth and I Roy in the latter half of the '70s. This year marks the 50th anniversary of rocksteady, and to celebrate VP Records and its 17 North Parade imprint for vintage releases have offered two wonderful collections. The first was a Record Store Day special in April: A box set of of 7" vinyl singles showcasing 14 universally recognized rocksteady classics. The second is the more recently available 2-CD Box Set and digital edition consisting of 40 rocksteady hits (including the 14 which comprised the Record Store Day release). Carefully selected and remastered, the songs in the collection represent good taste and consummate knowledge of the classics of rocksteady. The set also includes a well executed booklet. I own four other rocksteady collections, as well as various rocksteady tracks on other reggae compilations and albums for individual artists or groups, but this collection still represents an essential part of my collection. Rocksteady is beautiful and vibrant music, and this collection is a great way to own it. Ottawa, Canada's Skytone are Rodney Doddridge (vocals/keys/drum edits) and Darius Doddridge (vocals/guitars), brothers with a keen ear for melodies that pack more sunshine and warmth per decibel than you would have thought possible. Two recent offerings are the bright jangle pop tune "Second Hand Shops" and the moodier "Bright and Better Days. Both tracks are available for digital download at the links provided. And if you like Skytone, check out their live set Skytone Live @ The Fishfry, which has eleven mostly upbeat and summery backyard indie tunes. I included lead track "Jackie O" for your listening pleasure. I recommend the album highly, and was listening to it on my morning trip to the office. Skytone's music is released via Ottawa label The Beautiful Music. Bandcamp for "Second Hand Shops"
Bandcamp for "Bright And Better Days"
The term "hockey dad" may conjure the image of a beefy North American or Northern European wearing a pro hockey jersey and screaming from the stands to urge his nine-year-old son and his friends to board the other team into oblivion. Translating the term to music, however, requires an adjustment to your expectations. The indie band Hockey Dad is Australian, and the only boards suggested by their music are surf boards and skate boards. Rather than demanding violence, these guys are preaching fun, beaches, parties, surf and good times, leavened with a bit of pop punk grit. Or maybe that was sand after all. The tunes are upbeat, sunny, fuzz pop sing-alongs that don't take anything too seriously. After all, the band's name is take from and episode of The Simpsons and the album's title reflects Boronia Street, the street near the beach where the duo grew up and have been friends since age four. 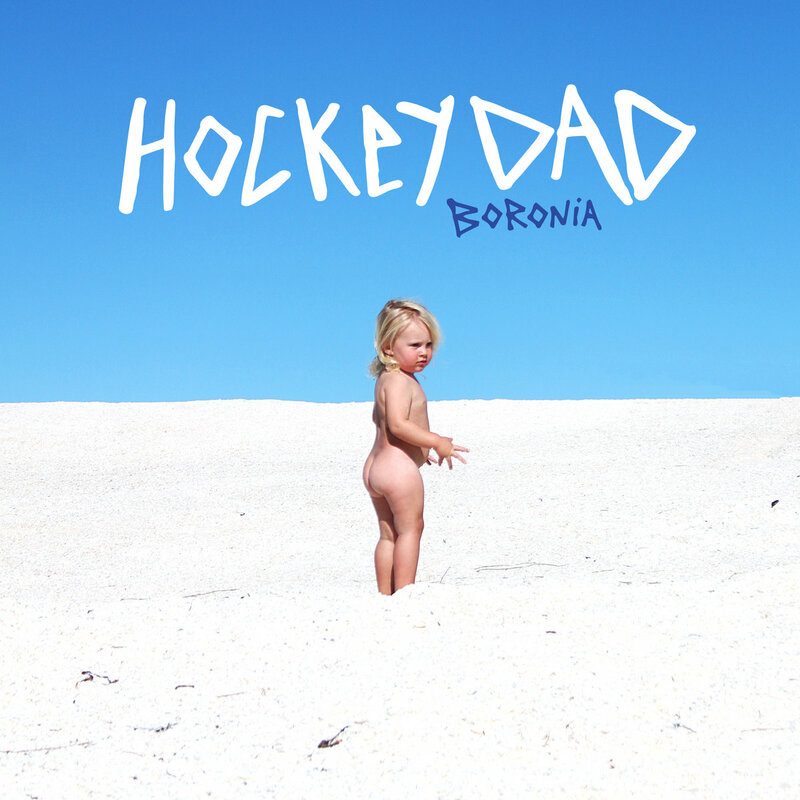 Boronia is a warm and approving look at life lived by the the members of Hockey Dad -- Zach Stephenson (guitar/vocals) and bill Fleming (drums) -- both of whom are in their early '20s. You won't find a lot of regret of bitterness, and why should you. The lives described sound like great fun, and the songs that describe them a definitely fun. We think Boronia is a very good way to extend your summer. Boronia is out now. See the Bandcamp link below for details. Lucy Dacus is a former film student from Richmond, Virginia. Supposedly, she recorded an album on a whim, and it now has been picked up by Matador Records. Titled No Burden, it has nine tracks that cover the spectrum from southern indie confessional rockers that wouldn't be out of place in the company of Courtney Barnett, and more stripped-down singer songwriter tunes, and a few that are in-between. While my taste runs more towards the first group -- typified by "I Don't Wanna Be Funny Anymore", "Troublemaker Doppelganger", and "Strange Torpedo" -- one listen to "Dream State" will convince you that Dacus need not confine herself to one style of musical expression. Her vocal range is impressive, and her delivery is equally adept and self-deprecatory asides, bitter observations and tender entreaties. Her lyrical talent is impressive, whether from the perspective of the major actor in the action or the keen-eyed outside observer. And we'll note that the lyrics are included at the Bandcamp link below. Overall, this is a very impressive debut. We doubt that Dacus has much time to make films at this point, but with a European tour and other commitments arising from a deservedly positive reception to No Burden, I don't expect that she is feeling bad about life. I expect that she is finding her current state to be no burden at all.